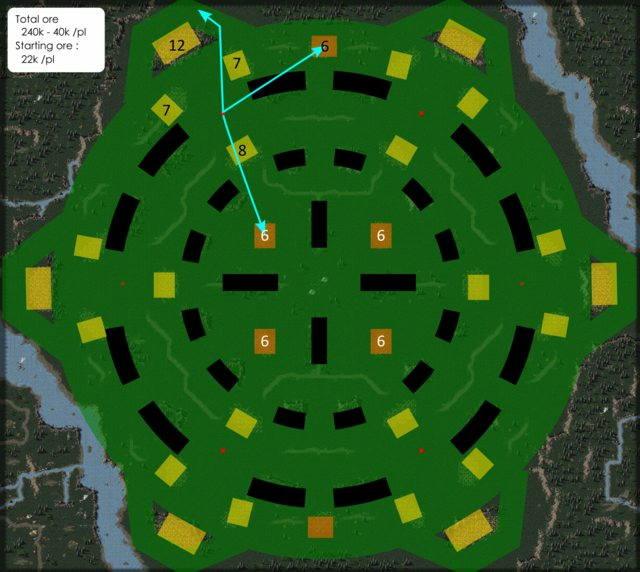 Recently, there was this interesting discussion started by OMnom on how to create competitive maps, what are the ingredients to make a good-quality map, that allows for diverse gameplay and strategical depth. However, from my own perspective, I have been very frustrated with the existing team maps offer, as most of these are not even close to the quality standard that is taking shape in the 1v1 map scene. From my point of view, nearly 90% of the team maps in the official map pool, and even in the community-made one, present major flaws in their design. I think it is a good time to work on the team map offer ! 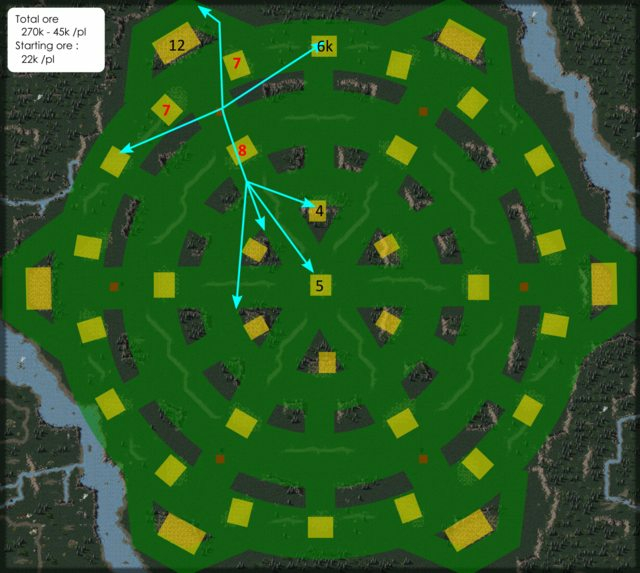 Not only this would create more enjoyable games for the existing player base, but this is also very needed for the image of OpenRA towards newcomers, as team games might probably more comfortable and attractive to them than competitive 1v1. In other words, team maps are an important part of OpenRA's vitrine. In this workshop, I'd like to focus exclusively on 2v2 and 3v3 maps. 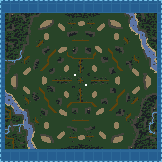 I think this is a good start to start developing quality maps : adapting the qualities of 1v1 maps on this category will be easier. Furthermore, I think the dimension of a map, which is related to the number of lanes, to the players positioning, ... is a physical limit to a map's quality. Therefore, good 4v4+ maps might become a bit gigantic, and harder to develop. So let's focus now on 2v2 and 3v3, for a start. Of course, everybody is encouraged to participate here, to propose new maps, to give suggestions and criticism on the proposed maps, to tweak them, to discuss, to make sketchy drawings, etc ... This is an open workshop, feel free to propose what you want ! 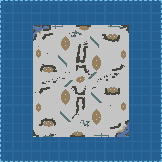 In this original post, I will sort and group all the WIPs and final maps. 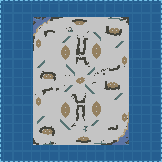 Also, this is different, but maybe complementary to NoobMapMaker's Map Design Contest. This workshop is more a long-run effort, that will probably take longer in time. I raelly want the final results to be as good as in the 1v1 pool. So there's a need to take the time and probably go through multiple iterations, until starting to get good results. But NoobMapMaker, if you see any connection that should/could be made with your Contest, I'd be glad to do that ! Last edited by FRenzy on Wed Nov 28, 2018 9:32 am, edited 63 times in total. After some playtesting, eco seemed to be problematic. It seems the proliferation of objectives makes everything unstable. Like in 1v1 on Patches. - reduced patches count, while keeping balance in case of FFA. Ore from 45k to 40k/pl. Starting ore unchanged. Decided to make a benchmark on these maps, comparing their measures, to see where we are going now. You can how radically different those maps are now ! And how very basic Vegetation is becoming, compared to PoA and JL. I'm starting to get happy with the map. Maybe still needs some improvements, like putting debris to reduce basepush (but where ?? ), but pasepush isn't so strong anymore. I think, and after playtesting, that 18k of starting ore is a bit tight. So I increased it to 22k. 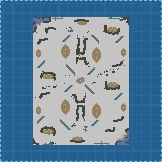 Also, overhaul the corners decorations. I think it's getting better. 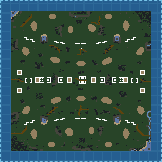 Corrected few mistakes, added 1 ore mine on each big patch. Map very slightly expanded. Original area is the same, lanes as proposed, but expanded a bit, because of difficulty to fit the outer patches. Still needs a big decoration work. Added roads and decorations ! After a few tests, gameplay is very encouraging. But it seems that 160c is too large for this map. The basic idea was to make the map more open and allow mobility, by widening the pathways, and increasing the number of lanes. 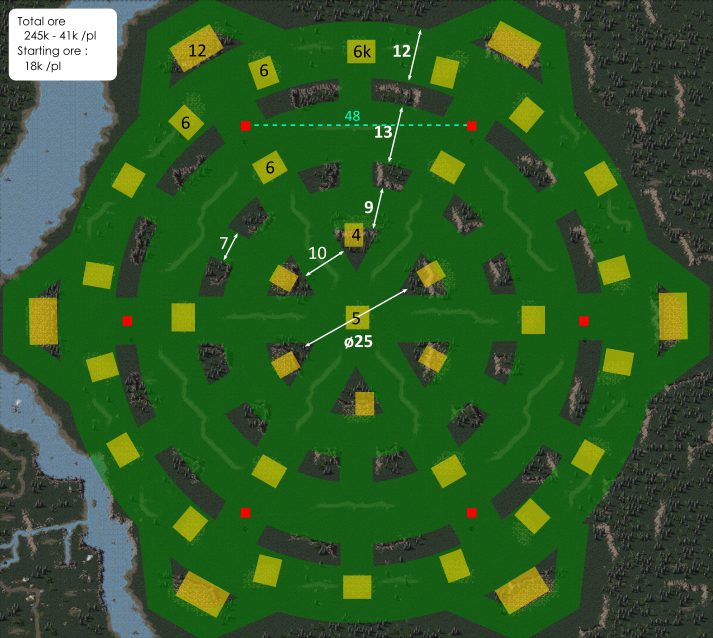 I've tried to distribute ore placements, and their strategical values. 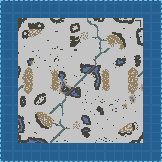 Ore patches can be attacked, either by moving armies or basepushes, but the openness of the terrain allows for good defense. 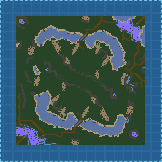 The map size went from 96*96 to 160*160, so a 167% increase size. In factn I don't think this is enough, as 1v1 maps like Sidestep or Greenbelt are already 96*96. Does a 3v3 map need 3 times more space ? On the other hand, over 200*200 maps might becoming too big, to be able to see what happens on the map. 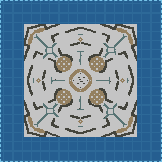 I'm not entirely sure about the ore distribution (quantity-wise), maybe starting ore needs a bit more ? 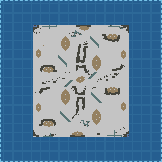 The whole idea of this workshop actually came to me, when I was thinking about the map Vegetation. 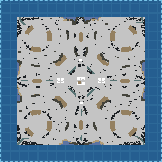 As you all know, this map is a 2 lanes map, in which the lanes are very choky, and the buildable area is very limited. 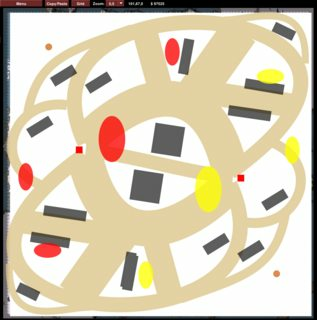 This map highly guides towards a static, arty based game, and makes gameplay variety very difficult. 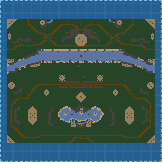 However, it is still maybe the central 3v3 map in the official release, so I thought this might be the most important map to start with. Last edited by FRenzy on Mon Nov 12, 2018 6:11 pm, edited 23 times in total. I've got a lot of time on my hands now due to a bike injury so am playing a lot of openra. I feel the same, most of the team maps are junk and play predictably turtley. Am trying this Jungle map out a bit today. Nice work. Nice! 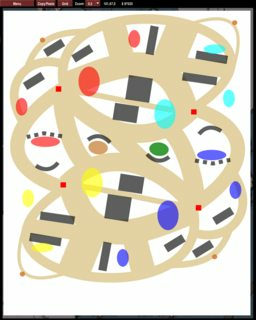 The map contest wint be around any time soon (2018) so go ahead and make nice maps! I too think big team maps could use improvement. I've tried the map a few times now (after we played earlier in the day). Whilst it's hard to get competent players i still feel like it's over eco and over sized somewhat. I think even with some balanced players it would become a massive army A move festival. But the design is good. The gaps are good. Let us know if you manage to draw any more conclusions from it too. eskimo wrote: ↑ ILet us know if you manage to draw any more conclusions from it too. As soon as the new version is ready, I'll let you know, and we'll be able to compare them ! Jungle Law v0.2 uploaded ! See OP. Btw, if anyone has interesting replays on any of the maps being developed, make sure to share them here, so that their map-makers can improve their design ! 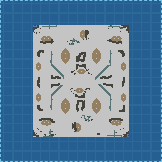 Adjusted a bit the positions of the ore patches, especially the ones in the back of each base. 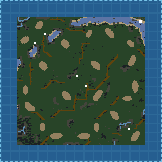 Patches are now evenly positioned on the map (no empty areas). Some obstacles were adjusted accordingly. 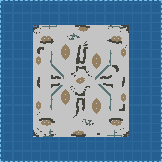 Also added more water on the corners. 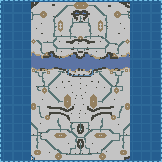 Increasing map size vertically (96*128), changing players and ore placement. 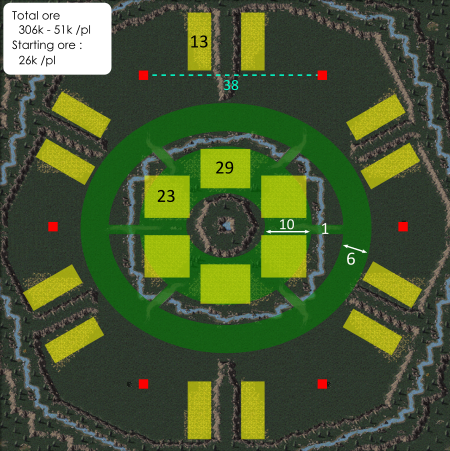 In v0.2, seemeed to be played as two separate 1v1, due to ore placement in the top and bottom edges, encouraging players to play there. Center was ignored. Brought back asymmetry, to force center play, + moving 2 oils there. Making sure no players moves to get two double patches. 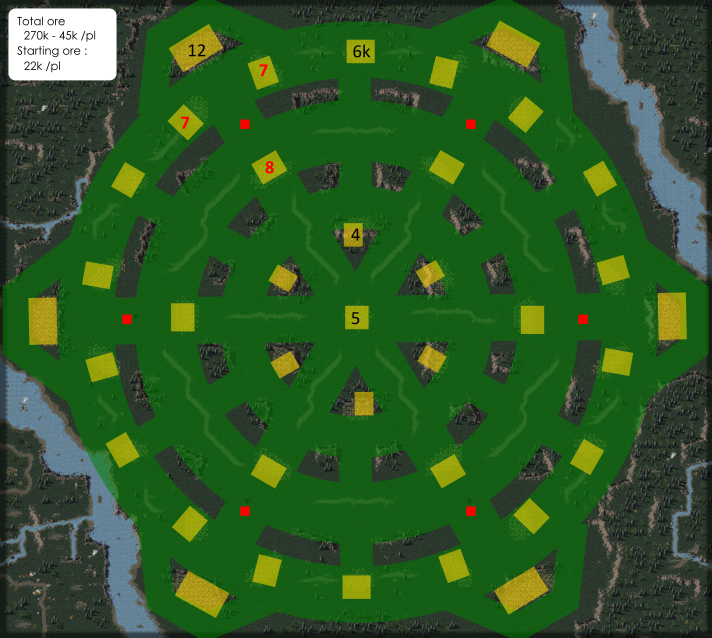 Tweaked ore placement, and obstacles, in order to avoid base creeping and high strategical positions. First version, trying to layout the different routes and strategical points, based on the Sidestep map, but adating it to a 2v2 context. 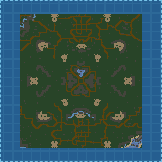 Size : 96x112, first try with a rather small and dense map for 2v2. Last edited by FRenzy on Mon Nov 12, 2018 6:10 pm, edited 19 times in total. At first i thought it was modern art. What i find interesting is having to decide if it's symmetrical map or a specific side vs side (LvsR etc) when theorising maps. Unfortunately still have not had any quality games worth accessing on Jungle yet. Has been a lot of unsuccessful first minute base pushing on it. Hi got caught out on it earlier, but survived. Then the looser ends up being a burden to his team and consequencely looses. noobmapmaker wrote: ↑ Nice approach! eskimo wrote: ↑ At first i thought it was modern art. eskimo wrote: ↑ Has been a lot of unsuccessful first minute base pushing on it. Hi got caught out on it earlier, but survived. Do you mean Hi tried basepushing, but failed, thus his team lost ? I saw that early basepushing isn't strong anymore on this map, and can be severely punished. Because there isn't really a "get there first" area on this map. Which is a good thing ! Early basepushes should come at a cost. The way team games are played will change, and be closer to how 1v1s are played. 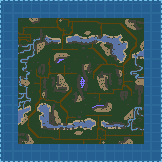 I will make a 3 vs 3 map with some relevant water because there seem to be only a few good water maps. 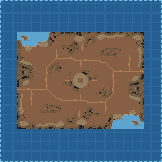 I dont want to make an island map like bombardement islands and i dont want the water at the outlines of the map. Also my map should not be one of the many maps on wich matches end under 5 minutes because someone moved his base close to the enemy. My inspiration i take from a yin yan sign. I got 3 lanes then, i think 10 cells per lane should be enough or? 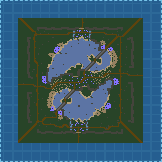 Materianer wrote: ↑ I will make a 3 vs 3 map with some relevant water because there seem to be only a few good water maps. Those are definitely good points ! 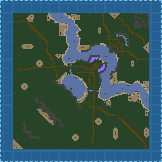 I'm not really a water guy when it comes to maps ^^, so feel free to take this subject ! 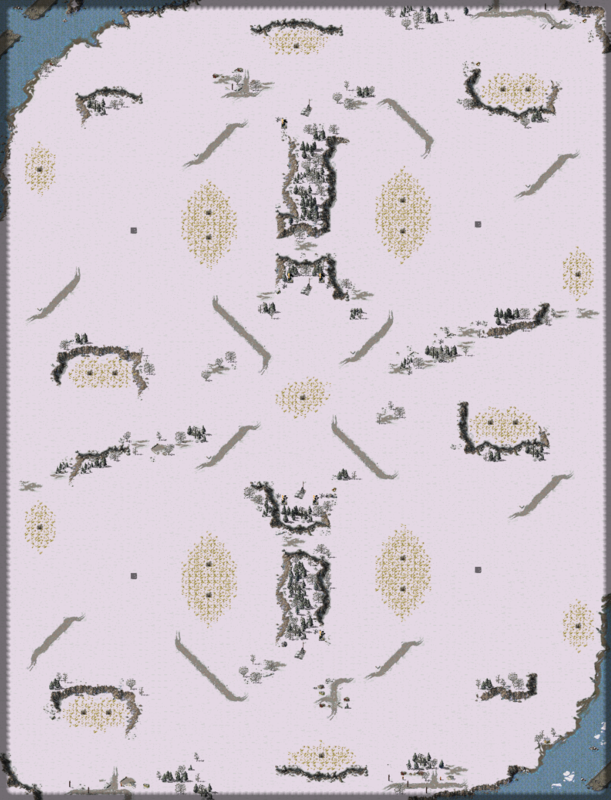 Materianer wrote: ↑ I got 3 lanes then, i think 10 cells per lane should be enough or? The thick Sidestep's lanes are ~10-13c wide. 10c is definitely enough ! Jungle Law v0.3 updated ! Getting closer to a final version !